Great post, and sorry we missed you. I was up at our family place half way between Boulder Junction and Manitowish Waters during your trip. I can definitely second your recommendation of Trig's - we have an account at LaPorte's in Manitowish Waters - much closer - but for good meat, veggies, beer and wine we'll travel down to Trig's in Minocqua, and maybe stop of at the Minocqua brewpub, too. I LOVED Da Beef’s Northwoods post and cannot wait to hear about his to Arbor Vitae burger stops (Little Musky and PJs) I have been to a few of the places he discussed and also have my own favorites. Some of these brought back some great memories of family vacations in the area. I am heading up in less than two weeks and cannot wait to visit some of my favorite places and hopefully check out some others recommended in that thread. I have always believed that Wisconsin’s Vilas and Oneida counties are the best places to take a relaxing vacation no matter what time of year. Da Beef’s post just reinforces that. I concur - great post Da Beef. Brought back a few memories for me too - we had a cottage in Boulder Junction when I was growing up. Later, summer after my sophmore year in college, I was a counselor/art instructor at Camp Birch Knoll in Eagle River. Good times! Here's one that's completely off the radar. 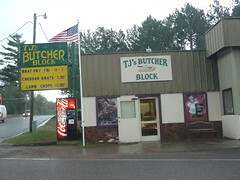 An authentic BBQ shack, hidden on a side street in downtown Minocqua. Bad Bone BBQ, located on Milwaukee Street serves some fine BBQ. The hours are limited to week ends and it's not open year-round. Carry out or dine in, as you watch your meal being prepared in the the tiny kitchen, located behind a glass window. This spartan shack offers pulled pork, beef brisket sandwiches, and ribs. Call ahead. eatwisconsin wrote: I LOVED Da Beef’s Northwoods post...I have been to a few of the places he discussed and also have my own favorites. What spots did I miss? I'll most def be back. Da Beef wrote: On we drove checking out the town of Minocqua...There was an old German Steinhaus with brats and other German goodies on the menu as well as a BBQ place that was filling the downtown streets with smoke but we weren't all that hungry and just kind of walked around passing on the tempting dining spots in the area. Smelled good but the $30/rack wasn't good for a snack portion. Glad folks liked it. I know the WI love has gotten strong on LTH (I'm guilty of it) but hey, how much discussion and updates do we need on the process of getting seated at Next. I keed. Chi 'til I die. Since you are not a breakfast guy this might not be up your alley but the Island Cafe in Minocqua is great for breakfasts. Their veggie eggs benedict is out of this world. I love the beer at the Minocqua Brewing Company. The food is pretty good too. The Sayner Pub serves some awesome pizza. After reading your review I think its pretty cool that a town as small as Sayner has 2 great tavern-style pizza joints. I love Polecat and Lace in Minocqua. Its a nostalgia thing more than a food quality thing. When we would vacation up there as kids my grandpa would take us to Polecat and Lace on Friday for lunch. If I am up there on a Friday I find it hard to resist. I always order the steak sandwich and French Onion soup. I have heard the walleye and their fish fry is good. I am a sucker for Walleye and enjoy the no-frills Walleye at Stingrays and at S.A. Loon's even though the ambiance at both places is blah. I am with you on Trigs. Its the first place I stop on my way up. Their beer slection is outstanding and I'll usually grab a couple of 6packs of local microbrews and a 6er of Point Special. The place I need to go is Golden Pines in St. Germain Its the former Indian Lodge (I am working on a post for Eat Wisconsin on Indian Lodge). I have heard the food is pretty decent however like Polecat, its a nostalgia thing. It was our "go-to" restaurant growing up. While growing up in the western suburbs, the family would usually take a summer trip to the northwoods and often stop at a place called Bosacki's (I think that's how it was spelled) on Lake Tomahawk for ice cream or, sometimes, dinner. I thought I would read about it in these posts - is Bosacki's closed? Thanks, I'll add it for next time. We got there Saturday and were out Wednesday so the chance at a Friday fish fry was missed. What type of fish do they use? I love all of the states great regional eats but always have bad luck with the fish fry's because it's usually just frozen pre battered average at best fish. Not all but many of them. Though I should say most of thee were from my college days in Madison. I remember a couple great spots in Bayfield, but they weren't Friday night fry's, just fried locally caught Lake Superior whitefish. Davooda wrote: is Bosacki's closed? 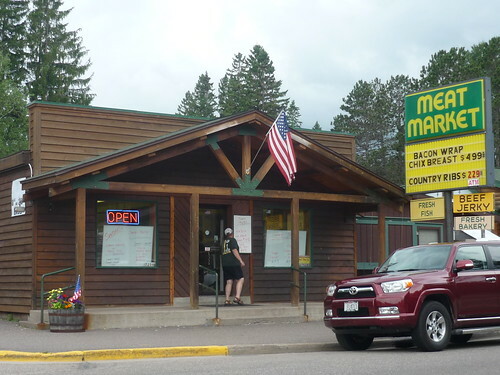 I remember seeing a Bosacki's sign in those classic Northwoods white arrows stacked atop each other leading you to which way a biz or residence is and also remember reading about the place before leaving for there, the Superfan like last name rings a bell. A quick search lead to this. Yep, I stopped in there and looked around. I liked how all the local businesses in that area had the same signs for the most part, all in green and yellow. Although I would of preferred them be in navy blue and orange. Next trip which I hope for in September I plan on getting a house/cabin rental even if its just me and someone else. In a scenic area ala Little Bohemia it would be great to have a place with a full kitchen, grill, TV with DVD and everything else needed to have some classic cookout's overlooking whatever pretty surroundings the cabin resides in. I'd stock the fridge up on meats from all the great looking local town butchers and WI microbrews which Trig's has everyone of or so it seems. Of course there's the bakeries too. You could eat well for your entire time and never leave your area by just stocking your fridge and cabinets when you get there. The walleye was on my radar but never stopped into a place but I'll add them to my list. Last edited by Da Beef on July 13th, 2011, 12:38 pm, edited 1 time in total. Bummed to hear about Bosacki's. We'd stay on Lake Kawaguesaga, which is just west of Lake Minocqua but connected via a channel and Bosacki's was our stop for gas for our boat and ice cream. They also had decent fish fry and after college, we'd go XC skiing up there and warm up at the cool bar with some hot cocktail creations like Tom and Jerrys. One summer a friend of mine and I seriously considered living up there and working for Bosacki's, as his dad was a family friend of the Bosacki's. The Boulder Beer Bar is great! The Boulder Beer Bar was built and owned by Dave Schultz, owner of Schultz construction. Dave rehabbed my vacation rental home in Manitowish Waters in 2000, where he copied the interior of the bar from my design. Last edited by chicagostyledog on September 8th, 2015, 7:02 pm, edited 1 time in total. When will you be inviting us over to your place? (Ours is on Big Lake, off Route K). You out did yourself on that omnibus posting. Loved it. Boulder Junction and Eagle River was my family's annual vacation when I was a kid in the 50s traveling from Indianapolis. It was special back then. I always make it a point to drive through the area to this day but have only camped in the National Forest east of Eagle River of late. I have stopped at Fay's Dinky Diner. It is well worth the stop for the breakfast/lunch and especially the old-time era ambiance. eatwisconsin wrote: The place I need to go is Golden Pines in St. Germain Its the former Indian Lodge (I am working on a post for Eat Wisconsin on Indian Lodge). I have heard the food is pretty decent however like Polecat, its a nostalgia thing. It was our "go-to" restaurant growing up. It was our go-to restaurant growing up as well, however we referred to it as Molgaard's, which if I recall correctly the full name was Molgaard's Indian Lodge. What a fantastic majestic log restaurant, the various schnitzels are done very well here. There is a new chef in the kitchen at Sisters Saloon in St Germain has been producing many delicious items. The fish fry on Fridays have been elevated greatly (as it needed it). Pulled pork w/coleslaw on top is a wonderful sandwich. As good as the Carolina's, no, but great for Northwoods. Slider burgers have a great beefy flavor and are not overcooked. Buns here get the buttered toasted treatment and are consistently delicious with just the right amount of crispyness & butter. Yup, It was Molgaards then it was Geise's. My grandfather thought the quality went down after the Geise's purchased it but I might have been to young to notice these things. I just remember Indian Lodge had the best Walleye Pike I have ever eaten (I have yet to have any that comes close to their fried version) and the roasted duck was also amazing. eatwisconsin wrote: ... and the roasted duck was also amazing. I always got the duck or the king crab legs. Da Beef wrote: On our first night in town we kind of just rode around checking out was around and we stopped in at the local 24 hour grocery store Trig's. After running into numerous folks claiming that the Trig's brat is the best in the Northwoods, we went over Labor Day & bought some for the large group we entertain each Labor Day. Everyone, including Mrs Sweet Willie & I, agreed that this was the best brat everyone had had in recent memory. 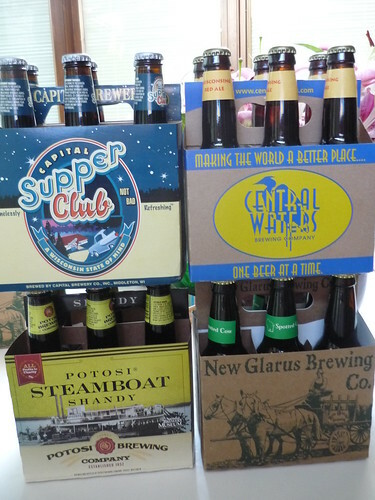 We were just up this past weekend again, and just to test our newfound love, we purchased some more. Again, the full brat flavor is there. I urge anyone who can grill & beer par boil, to purchase some Trig's brats. chicagostyledog wrote: Here's one that's completely off the radar. An authentic BBQ shack, hidden on a side street in downtown Minocqua. Bad Bone BBQ, located on Milwaukee Street serves some fine BBQ. The hours are limited to week ends and it's not open year-round. Carry out or dine in, as you watch your meal being prepared in the the tiny kitchen, located behind a glass window. This spartan shack offers pulled pork, beef brisket sandwiches, and ribs. Call ahead. off the radar is right, just this past weekend we stumbled upon this place. Mrs Sweet Willie & I shared the 3 meat platter (pulled pork, sliced beef brisket, baby back ribs). I’ve got a pic & as soon as I figure out how to post one, I’ll do so. Sauce fans will love the 5 different kinds (sweet, mustard, hot, vinegar, pitmasters). I usually like brisket & pulled pork much better than ribs but his ribs were quite good in terms of good smoke and slight bite to the meat (I dislike falling off the bone). While everything could have used more smoke in my opinion, for the northwoods, this was certainly very good BBQ. Had a good conversation with the owner. He is self taught BBQ guy, was doing the BBQ gig as a cater only, when his sig other said he should open a restaurant, he decided to do so. He uses a wood fired pit, despises gas BBQ. Went to Rena's place at Pitlik's Sand Beach Resort and was very impressed. Bright modern log cabin interior. The "Ultimate" Bloody Mary is loaded with garnishes and fun to eat and drink. It could have used a little more spice. For dinner I had an Eskimo Creek Burger which was a bison & brat combo, 1/3 lb patties of each. I opted for swiss cheese and grilled onions and waffle fries. The burger was one of the best I've ever had. Juicy, rich flavor of bratwurst, onions, cheese. The fries were perfectly crispy. Karen and Laura were very happy with their cod sandwiches too. It was a short drive from our St. Germain resort. I don't know how we missed out on this gem all these years. eatwisconsin wrote: I am a sucker for Walleye and enjoy the no-frills Walleye at Stingrays and at S.A. Loon's even though the ambiance at both places is blah. I had their walleye fish fry at the end of June this summer and wow, what a great piece of fried fish, tender/flaky/moist, batter w/hint of beer and VERY crisp/light. I was VERY pleased !! Nice wood supperclub atmosphere, w/a small boat used to hold the saladbar, not a huge selection but good quality salads. I grew up in Stevens Point, WI and my parents & paternal grandparents shared ownership of a home in Boulder Junction from the time I was a tot until I graduated from 8th grade. I spent a lot of time fishing, hiking, and cross-country skiing in the area. I also spent the summer after my sophomore year of collage as a camp counselor in Eagle River. So, I knew the area well. Twenty years ago. Anyway, I am so excited to be returning to the area in a few weeks with My DH (who has never been farther north than Wausau in WI.) We have rented a place for a week with our baby and my parents in Manitowish Waters. Sorry that I missed this thread before I ran up to Arbor vitae to pick up my son and a couple of other scouts from camping at Jag Lake. However, check out the "Pig in the pine" bbq cookoff that happens every year at St. Germain, just around the corner. Great ribs, awful prices, free admission before 2:pm. This year I grabbed several plates for the scout parents that spent the week living on the kid's cooking. If you are in the area, skip the tourist trap called "paul bunyans" when it comes for breakfast. My least favorite part of picking up the kids is having to go there with the troop. Yes, go to the Island Cafe in Minocqua instead. Best breakfast in the northwoods, IMHO. I wish that something other than Paul Bunyans was an option. That is tradition for the troop when up there. As well as (gag) my having to stop at Golden corral since two of the kids I drive back consider that (food?) so much better than their mother makes. I consider it a sacrifice that has to be made. After they do the all you can hold down without barfing they are tired and when they get home, sleep all day giving their parent's a break. exvaxman wrote: I wish that something other than Paul Bunyans was an option. That is tradition for the troop when up there. As well as (gag) my having to stop at Golden corral since two of the kids I drive back consider that (food?) so much better than their mother makes. I consider it a sacrifice that has to be made. After they do the all you can hold down without barfing they are tired and when they get home, sleep all day giving their parent's a break. When I was a kid we went there maybe once. My parents hated that place so much. They wanted going out to eat to be special so we rarely went to lower end or even middle of the road places. We usually cooked at our cabin or campsite and maybe 2 times during the week we would go out to a nice supperclub like Indian Lodge. I went backto Paul Bunyan's for AYCE fried chicken dinner once in college and it was ok for a college kid with about 5 beers in him. 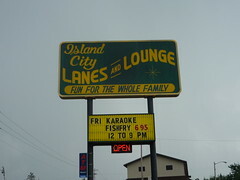 eatwisconsin wrote: Yes, go to the Island Cafe in Minocqua instead. Best breakfast in the northwoods, IMHO. So seeing as N Wisconsin lacks many Mexican choices, I've always been curious about JR Salsas which is a hole of a storefront, tucked behind the Mobil station on the SE corner of 51 & 70. It never seemed to be open when we wanted to go. So I'm heading up earlier this month & lo & behold, it is open, so I walk in. VERY VERY whitebread Mexican offerings (was to be expected I guess). The chorizo tacos was one of the most ethnic oriented items, so that is what I ordered. I really don't think it was chorizo but ground beef seasoned w/Mexican spice. Tacos were meh at best (lettuce, sour cream, cheese, chopped tomato etc etc as toppings) and certainly didn't satisfy the craving I had. Nothing wrong with Paul Bunyans. I'm sure most people would enjoy it. Tippler's in Conover used to have a pretty decent Mexican and southwestern fare but I believe they went out of business a while ago. Went to Bad Bones BBQ in Minocqua for lunch, Mrs Sweet Willie had the sliced brisket sandwich and I the smoked chicken. Brisket is good and moist, I just wish he'd smoke it for longer as there just isn't a pronounced smoke ring or taste. Chicken was delicious, only $5 for a 1/2 chicken w/2 sides, for $3 more I could have made it an all I could eat special, which if it had been dinner I would have done some damage , but it was lunch so the 1/2 chicken was more than enough. imsscott wrote: Nothing wrong with Paul Bunyans. I'm sure most people would enjoy it. nothing wrong with Paul Bunyans if one has children. The atmosphere & food is perfect for a kids breakfast. We used to take families to PBs when we were entertaining up north. The kids loved it, the adults knew the quality just isn't high, so if there are only adults, I suggest go elsewhere for breakfast. eatwisconsin wrote: Tippler's in Conover used to have a pretty decent Mexican and southwestern fare but I believe they went out of business a while ago. yeah, I'm not so sure I'll find good Mexican in my lifetime in Vilas Co.
We served these over Labor Day weekend and folks loved them (as did we). The place we are staying has a nice full kitchen so we are cooking most breakfasts and some other meals. Picked up some Canadian walleye at Trigg's yesterday which I dipped in buttermilk, coated in a mix of ground pecans, panko, and a little brown sugar then pan seared and finished in the oven. Topped it with a mix of butter, cilantro, and orange marmalade - very good. Day trip to St. Germaine and Eagle River tomorrow. Will probably hit Little Bohemia for the nostalgia (not so much the food,) on Thursday.